Phoenix Contact takes over the Taiwanese company Etherwan System Inc. The company which is located in New-Taipei is a manufacturer for Ethernet communication technology in automation. The takeover enriches the position of the Phoenix Contact Group in the area of the Industrial Internet of Things (IIoT) and Industrie 4.0, which was already strengthened by the takeover of the Canadian Perle Systems Inc. in fall 2016. Etherwan was founded in California in 1996. The main site has been in New-Taipei in Taiwan for 20 years. Here, hardware components such as media converters and Ethernet switches for so-called “hardened Ethernet solutions” are developed, manufactured and sold by around 170 employees. Software is also included in the portfolio of the company. The US headquarters is located in Anaheim, CA, where more than 20 people are employed. Phoenix Contact and Etherwan have already been cooperating successfully for 15 years. The cooperation started with the development of a portfolio of products for the use of Ethernet in industrial communication. This successful cooperation will now be intensified in the joint undertaking in order to launch further product ranges acc. to the requirements of Industrie 4.0 and to develop the competence center of network technology of the Phoenix Contact Group together. “Industrial communication is a key technology for the digitalization”, says Roland Bent, CTO of Phoenix Contact. The corporate name remains unchanged; the same applies to the sites. In Taiwan, the close proximity to chip manufacturers, technology suppliers, and other manufacturers is a great advantage. The existing Supervisory Board will be extended by Jack Nehlig, President of Phoenix Contact Inc., Harrisburg/ USA and Martin Mueller, Vice President of the Business Unit I/O and Networks at Phoenix Contact, Bad Pyrmont/ Germany as well as Marcus Boeker, Head of Acquisitions of Phoenix Contact , Blomberg/ Germany. The transaction is subject to approval by the local Investment Commission Taiwan. “In 2016, Phoenix Contact could generate a sales growth of 3.2 percent. Compared to the industry surely not bad. However, our planned target of six percent could not be achieved also due to exchange rate effects,” CEO Chairman of the Executive Board, Frank Stührenberg, explained Phoenix Contact´s economic development in the last year at the press conference. With it, the turnover of the Company Group increased to 1.977 billion euros. 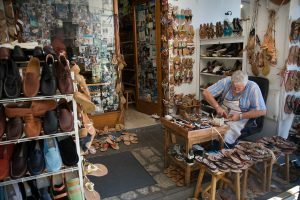 “In Italy, Russia and India for example, we could achieve a very positive sales growth between 12-17 percent,” Stührenberg explained the diverse market development. Thanks to the dynamic growth in the electromobility market, the subsidiary Phoenix Contact E-Mobility even achieved a sales growth of 70 percent”. The manufacturer of industrial electronics invested 150 million euros in the development of the Company Group in 2016. 500 new employees joined the company last year. For the current year, Phoenix Contact expects an increase in turnover of around 6.5 percent. Stührenberg is confident: “In the first quarter of 2017, we have already recorded a very good increase in sales of more than 12 percent. In 2017, we will exceed the 2 billion euros threshold”. Around 150 million euros will be invested in the national and international development by the company also this year. At the site in Milan, Italy, for example, additional sales and training capacities with approx. 6,000 m2 will be established. In India, the production and logistics capacities will be expanded with an investment of 5 million euros. 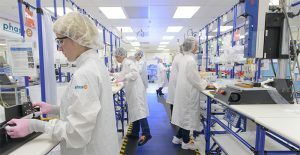 At the site in Blomberg, the size of the laboratory of Phoenix Testlab, the test lab and certification institute for technical products will be doubled to 4,000 m2. Also, shares in companies are increasingly included in the investments. At the beginning of April, the company took over Mauell Netzleittechnik GmbH from Velbert to 100 percent. With the integration of the automation specialist in energy networks in the Company Group, Phoenix Contact continues its sustainable growth strategy in the energy market. Just recently, Phoenix Contact has also taken over the Taiwanese company Etherwan System Inc., a manufacturer of Ethernet communication technology in automation. Both companies have already successfully cooperated for 15 years. With it, Phoenix Contact significantly strengthens its network technology, a key technology for digitalization. In February, the Phoenix Contact Group took a share in SmartB Energy Management GmbH, a start-up company for energy management in commercial buildings from Berlin via Phoenix Contact Innovation Ventures GmbH. Their software solution makes energy consumption transparent up to the device level. This year, the partner country will be Poland. “Our production site there has become the largest production site outside Germany and is the center for the production of modular terminal blocks and cabling solutions,” Stührenberg explained the importance. Phoenix Contact as the solution provider for electrical engineering, electronics, and automation will present its innovations and trend-setting technologies in Hannover on an exhibition area of approx. 2,500 m2. At the heart of the exhibition appearance, there are solutions for the digitalization which focus on the task fields of Industrie 4.0 such as easy operation, secure communication, adjustability or a seamless digital description of the products. 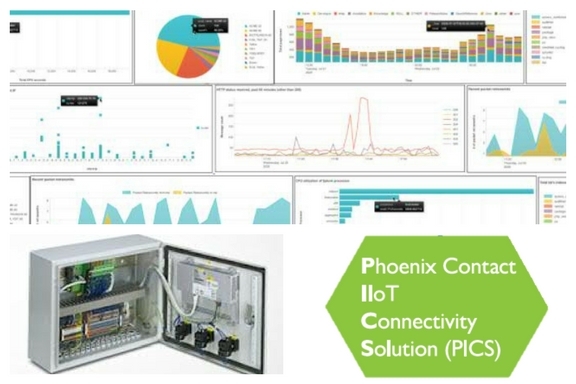 With the open control platform PLCnext, which is the focus of the presentation in Hannover, Phoenix Contact initiates a paradigm shift towards open source-based control solutions for Industrie 4.0. “Traditionally, the Hannover Messe is the most important trade fair for us,” Stührenberg confirms. “This year, we will present more than 100 innovations and welcome visiting delegations from 50 countries with more than 1,200 visitors”. The Industrial Internet of Things (IIoT) is creating huge opportunities in the water and wastewater industries, adding value to both the utility and the consumer. Connected machines are reshaping the way these utilities operate, allowing them to make smarter and more informed decisions. By driving up innovation, water utilities are driving down cost. Treating water and wastewater requires chemical processes that can now be monitored more accurately using digital data collection. These digital transformations are taking the guesswork out of chemical processing and allow utilities to optimize a number of chlorine dollars spent to maintain safe levels — saving time, money and empowering operators to make fewer mistakes. Spurred on by IIOT and Big Data collection, SaaS applications are also implemented which could provide analysis on the wastewater process and accurate calculations on the wastewater clarifier tank performance. Technologies such as these could also allow businesses to receive alerts and notifications when a failure might arise, predicting when a sludge will overflow and be released. Real-time data, accessible anywhere, anytime before failure happens. This kind of problem causes environmental issues and fines that can run into millions of dollars. It will also be able to predict a thickening failure, which is when the effluent doesn’t settle correctly and creates a costly sludge blanket in the tank. Predictive analytics are also solving monitoring problems that were not previously possible for utilities. For example, there are a large number of pumps that are commonly found within water facilities, and digitized data is making it possible for companies to accurately predict when these pumps might fail — ahead of time. It’s similar to the predictive analytic technology used in jet engine checks between airline flights. 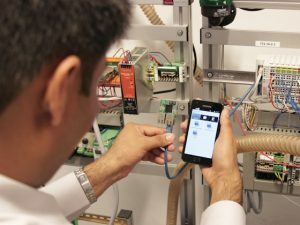 This cloud-based application easily connects to pumps and helps companies avoid costly and inconvenient failures, allowing engineers to schedule controlled maintenance rather than reactive maintenance. Partnerships between technology companies and utility companies are facilitating innovation. Safety procedures are also being monitored and enforced more closely by keeping track of them using digitized technology. By working closely with our clients, we realize that more informed data could also be used as a reminder to employees regarding protocol procedures when dangerous chlorine leaks are detected. The safety procedure is sent to a worker’s device to be confirmed before access to the contaminated area is granted. The safety procedure is sent to a worker’s device to be confirmed before access to the contaminated area is granted. 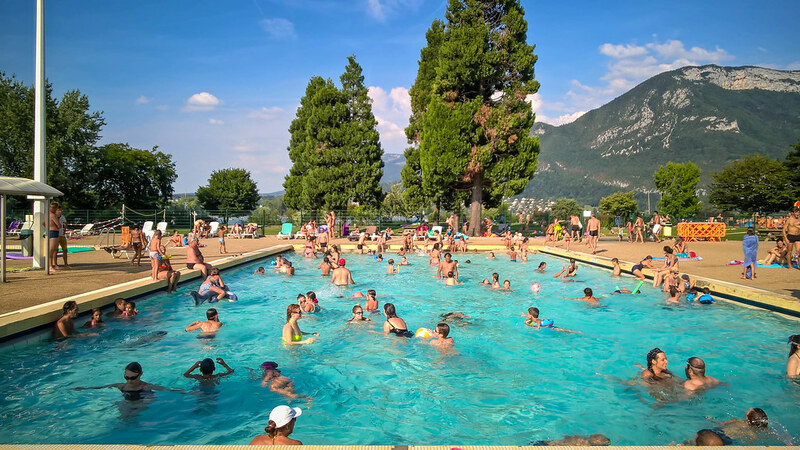 Public swimming pools are at risk of chlorine contamination which would have adverse effects on health. 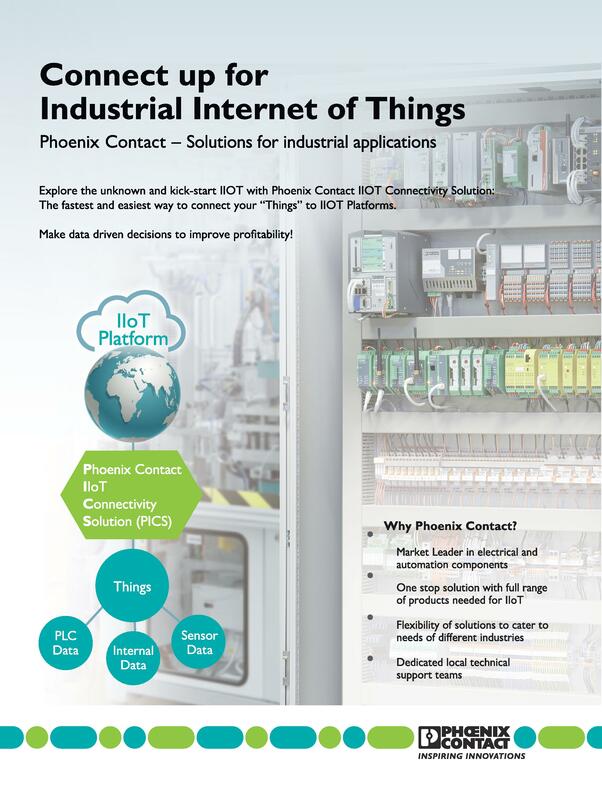 At Phoenix Contact, we offer industrial platforms that enable asset performance management on an industrial scale. For water utilities, our products can help organize time-series data to monitor asset functionality. Building close relationships with utility companies would facilitate innovation and allow us to develop solutions to become cleaner and more efficient at a rapid pace. It truly is a transformative time in the industry, and the results couldn’t be more pure — better drinking water for everyone. For more information on the products used for water management, visit the link here. In the previous post, we discussed a little on the origins of IIOT (Industrial Internet of Things) and case studies of how IIOT have helped various industries. A point to note, is that IIOT was not an initiative that sparked a revolution today. 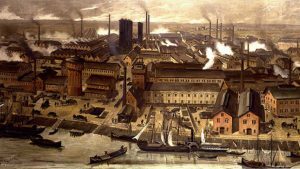 In fact, IIOT is part of a concept which derived from the German idea of “Industrie 4.0”, or rather, the Fouth Industrial Revolution. The “Industry 4.0” initiative was constructed as a strategic plan by Germany back in 2006 to promote computerization in manufacturing. Germany has certainly come a long way. The High-Tech strategy can be summarized as moving Germany forward, to become a worldwide innovation leader. By strengthening Germany’s position as a leading industrial and exporting nation, Germany believes that innovative solutions are factors that drive prosperity and increases their quality of life. Hence, by leveraging on the idea of Industry 4.0, Germany could achieve their long-term goal of High-Tech Strategy 2020. Fourth: Industry 4.0 leveraging cyber-physical systems, embedded computing, Internet of Things technologies. The German strategy highlights cooperation between industry and science to promote closer links between knowledge and skills. In the final report for Industrie 4.0 entitled “Recommendations for Implementing the Strategic Initiative INDUSTRIE 4.0”, it describes using Internet of Things technologies, communications, and web services in manufacturing. It makes it possible to create networks incorporating the entire manufacturing processes, converting factories into smart environments for tomorrow. The vision of Industry 4.0 is to achieve higher productivity, efficiency, and self-managing production processes where people, machines, equipment, logistics systems, and work-in-process components communicate and cooperate with each other directly. The main goal is to produce low-cost mass production to achieve make-to-order manufacturing of quantity by leveraging embedded processing and communications. 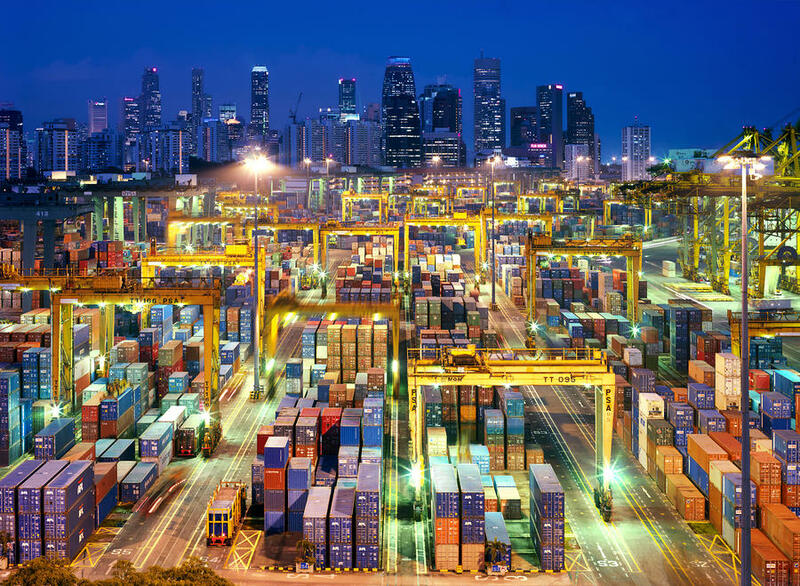 Production and logistics processes are integrated intelligently, creating a real-time lean manufacturing ecosystem that boasts efficiency and flexibility. This will help facilitate smart value-creation chains that include all of the life-cycle phases of the product – from the initial product idea, development, production and usage, to maintenance and recycling. This allows the business to constantly make improvements, based on informed decisions. Industrialization towards 21st century and beyond. 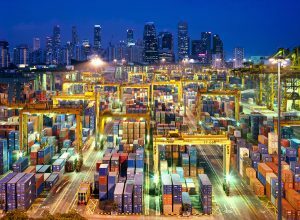 Data derived from the supply chains make it possible to optimize production steps and the entire value chain. For example, comprehensive real-time information enables companies to react during production such as anticipating the availability of certain raw materials based on price, quality, and other factors for optimal efficiency. Data extrapolated could also be shared across company boundaries, to save resources and energy. The digitization of industry is forecasted to foster new business models and present great opportunities for small- and medium-size enterprises. Currently, majority of the companies are already adopting this idea. Gone are the days of factory lines. Traditional assembly manufacturing lines are synchronous, with predefined workflows based on production work orders running in enterprise business systems. 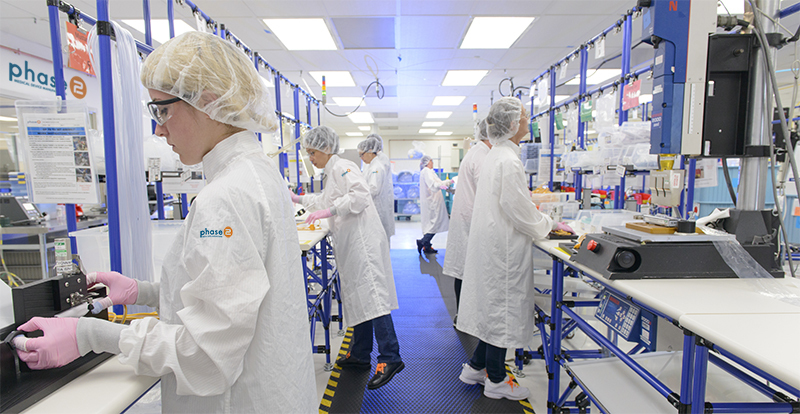 Production steps are centrally communicated to each manufacturing station synchronized by the assembly line. In Industry 4.0 however, is based on asynchronous manufacturing, with components in the production flow using auto identification technology to inform each machine and operator what needs to be done to produce the customized end product at each step of the production process. Just like Humans, Machines have to be flexible. The usage of highly adaptable and flexible machines is another aspect of Industry 4.0. This achieves a highly flexible, lean, and agile production process enabling a variety of different products to be produced in the same production facility. Profitable mass customization allows the production of small lots (even as small as single unique items) due to the ability to rapidly configure machines to adapt to customer-supplied specifications and additive manufacturing. Other than relying on flexible and adaptable machines, Industry 4.0 systems capture a wide range of data that can be used to improve performance and productivity through analytics. Analytics are used in a number of ways, including real-time predictive maintenance, which helps manufacturing companies avoid interruption in production by machine failures—directly improving asset utilization. With analytics, businesses can make informed decisions on production operations, improving productivity and energy efficiency. The application of the Industry 4.0 vision is turning into a reality with technological advances driven by the Internet of Things which includes open software platforms, open communications, and powerful embedded processors. Industry 4.0 uses the term cyber-physical systems (CPS) to describe the interaction of physical and computing, including embedded intelligence at all levels, including machines, sensors, actuators, production parts, subassemblies, and products being produced. CPS is composed of physical entities, such as mechanisms controlled or monitored by computer-based algorithms. A current example of the application of CPS is mechatronic drive systems that use processors and communications embedded in motor drives to accomplish coordinated operations in a packaging machine without physical gearing. 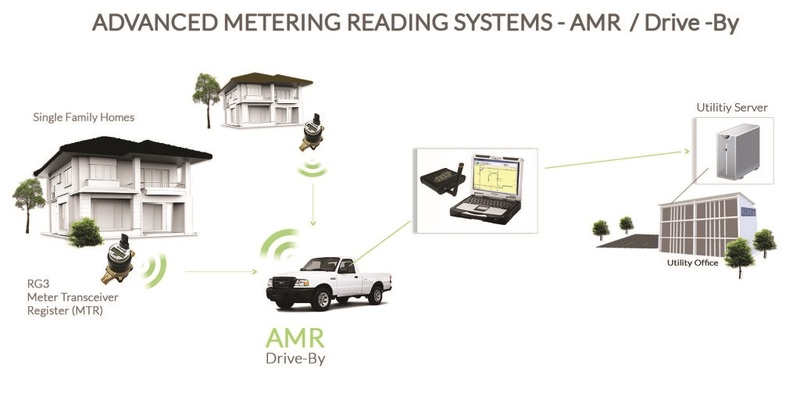 This saves significant cost, providing greater flexibility and improved reliability. The fundamental reason behind shifting towards Industry 4.0 is the realization that pursuing low labor costs is no longer a strategy. Staying competitive and flexible can only be accomplished by adopting the latest technology – in this case, banking on automation. Historically, if we were to refer to the Second Industrial Revolution, Henry Ford pioneered the assembly line method of producing automobiles. Automobiles were only available to the affluent back in the days but by manufacturing an affordable car by means of simplifying the process from 12 hours to a mere 93 minutes, Ford, with its Model T, commanded a 48 percent share of the automobile market. Competitors knew that they had to implement such technology of assembly lines or be at risk of bankruptcy if they could not compete. At that time, U.S automakers had access to similar technologies and methods but did not pursue them until compelled by economic factors. Because of this example, manufacturers around the world are accrediting the success of automation as factors in producing products with precision and consistent quality. In 2014, China was the single largest market for industrial robot sales. 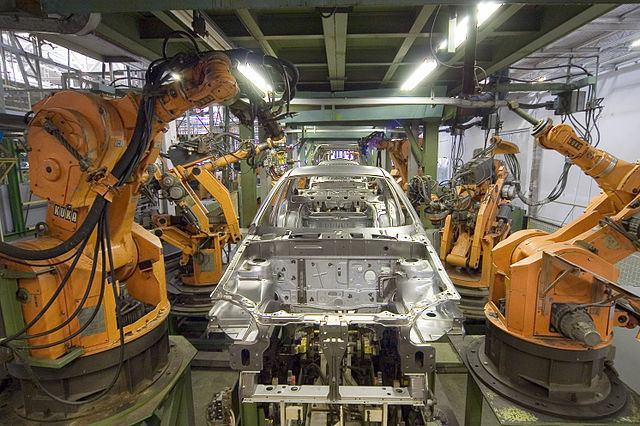 Based on the present rate of robot adoption, within two years, it would be predicted that there will be more industrial robots in Chinese factories working hand in hand with manual workforce than in the European Union or the U.S.
Based on historical data and countless of analytics on the web, as a business, there’s no escaping Industry 4.0 and the Industrial Internet of Things. Businesses must be prepared to usher this new technology and adopt it, if not soon. Competition is high especially with globalization and the need to produce low-cost products at high quality. In Germany, such initiatives are being supported by the government. Japan, India, and China are following closely behind. The question is, can Southeast Asia keep up and from it emerge companies who will pioneer new technological innovations? 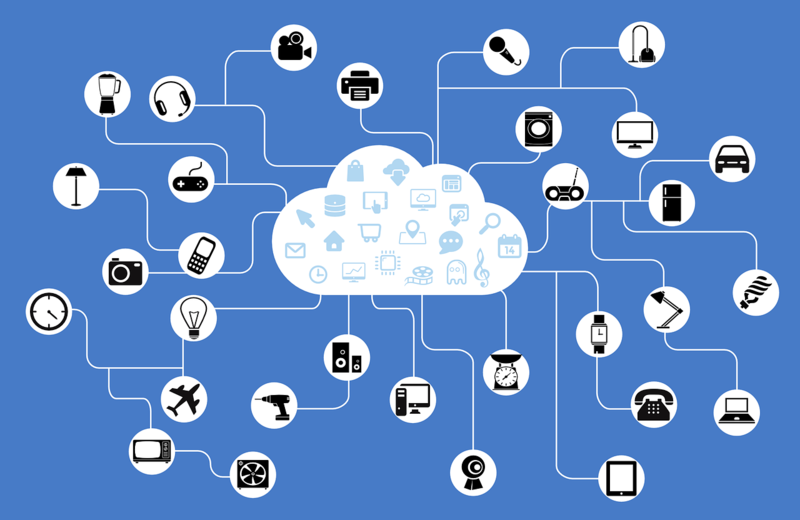 Internet of Things (IoT) is a process in which human, machines and devices are connected to one another via a data network or the Internet in order to collect and process data automatically for the purpose of improving efficiency, accuracy and economic benefit in addition to reducing human intervention. 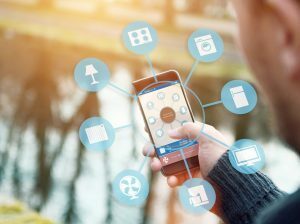 With the proliferation of wireless devices and development of technology, IoT is becoming a feature of our lives and provide opportunities for numerous automated and value-added applications, such as using mobile phones to control air-conditioning at home or using iris/fingerprint for security purposes. So how could it help businesses? The potential benefits of automation in terms of productivity and economic growth is obvious. 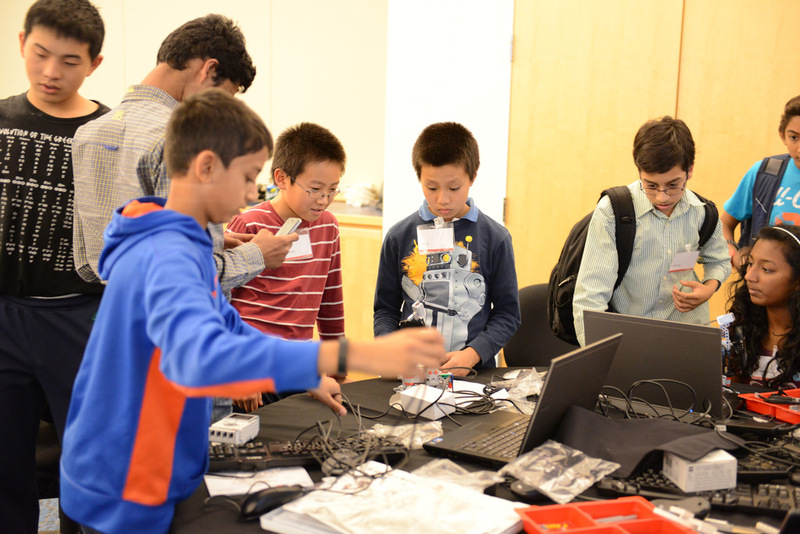 For some, it encourages creative thinking and provides opportunities to develop new skills. For others, automation poses a threat when manual jobs are replaced by machines. Take for example – Human Resources (HR) processes used to involve an enormous amount of clerical and administration work. With the cloud-based solutions of today and tomorrow, many of these processes such as attendance, leave and payroll can be automated and standardized. Not only will this enable jobs to be processed at the quickest and lowest cost possible, data collected can be broken down into meaningful intelligence for analytical purposes. This will enable HR to focus on more strategic tasks such as talent management and employee engagement that requires a wider range of soft skills such as relationship building – the areas that truly need the human touch. 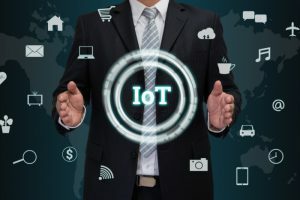 IoT is developing rapidly and the technology is affecting our interaction with “things” around us, making it possible for unparalleled opportunities and services to be developed across diverse industries such as agriculture, manufacturing, energy management, transportation, finance, healthcare, retail, telecommunication and IT. Automation will undoubtedly improve human lives and increase workplace efficiency, and completely change the way we commute, communicate and collaborate. 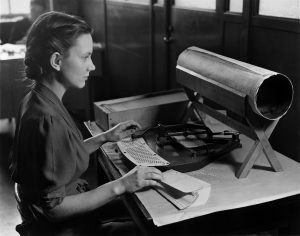 Many manual jobs may become obsolete or outdated as IoT evolves, however, many experts believes that new job roles and expertise will emerge, and there are a number of potential inhibitors where certain jobs requiring human interaction that machines, for the foreseeable future at least, will not be able to replace human. Therefore, “Human” will not be removed from Human Resources entirely as there will be growth in field services, asset management, robotic maintenance, remote diagnostics, and analytics expertise, which will take a human being to understand how to interpret and act on insights they have identified. 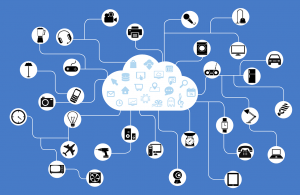 IoT will change the way businesses operate today. With the emergence of new technological innovation, companies need to ensure that its workforce is retrained, retooled, recalibrated and newly hired to transition the company towards a research-based, innovative-yet-analytical mindset for decision-making, regardless of job tier in order to compete in the new knowledge-based economy.